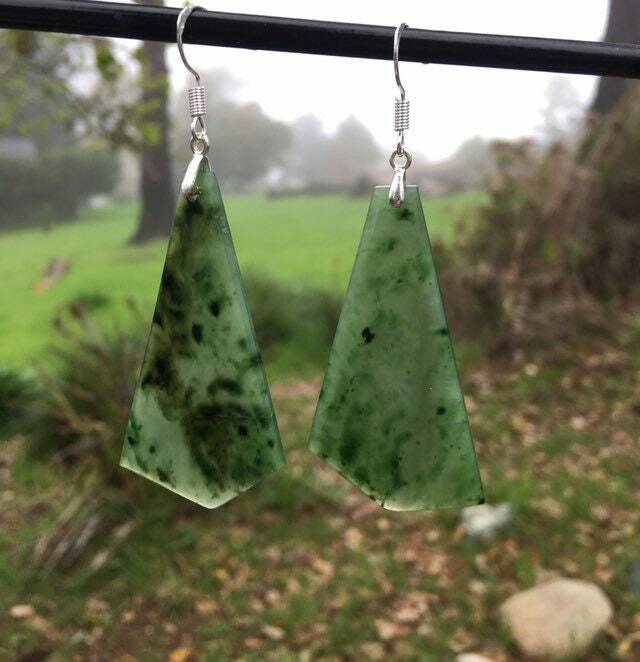 My dad made these stunning Yukon jade earrings. 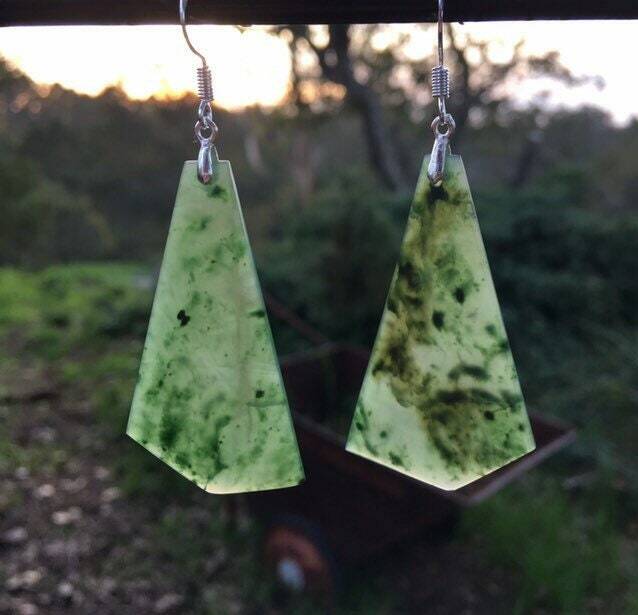 They are the superb light, very translucent green, with darker markings. These will be sure to turn heads. Great gem quality. Awesome, unique shape as well. The earrings are 1 3/4" long and 1" at its widest.